Free "Poke The Penguin" Paper Toy! As a special thank you for your patronage, enjoy this FREE Poke The Penguin paper toy. 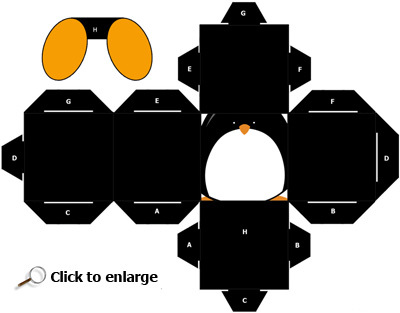 This high-quality paper toy features interlocking tabs for construction. Just add a dot glue or a bit of tape, and you're good to go. "Poke The Penguin" should be printed on a standard piece of 8-1/2" x 11" paper.